For many years, Adriano Celentano, one of the world's best-loved artists has conquered the hearts of the audience. One of the most important and influential figures in Italian pop culture has recorded more than 40 albums. January 6 marks 80 years since the birth of obstinate and untamed Italian singer and actor. 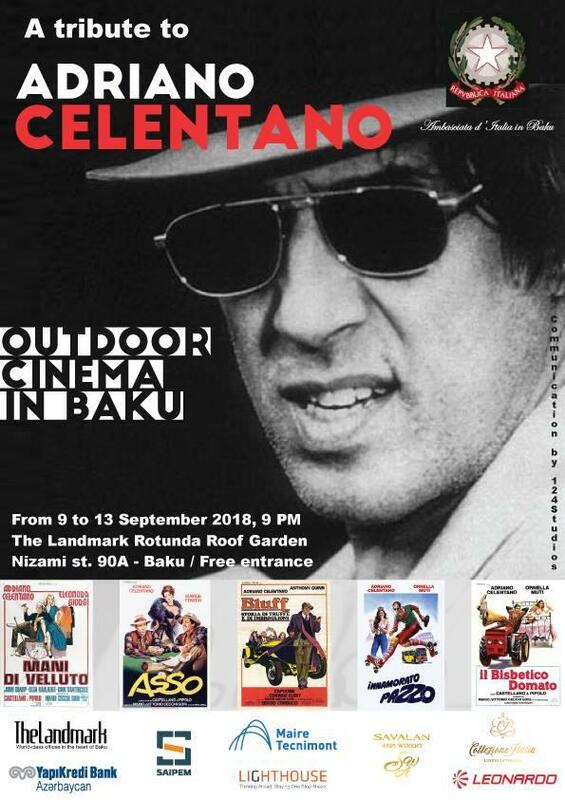 The most famous and beloved films of Adriano Celentano will be presented to cinema lovers. The films "Bluff", "Innamorato Pazzo, Asso"," Il Bisbetico Domato" and "Mani di Velluto" will be shown as part of the event. The outdoor screenings will be held on September 9-13 in the marvelous setting at The Landmark Rotunda Roof Garden. Admission is free.